Brazil’s ex-president Luiz Inácio Lula da Silva sent a message to Workers’ Party (Partido dos Trabalhadores – PT) activists through theologist Leonardo Boff on Monday (7): “I’m definitely a candidate.” While this is not news, the message quashes rumors – spread especially by the mainstream media – about the PT possibly supporting a candidate other than Lula, as the former president is being held at the Federal Police headquarters in Curitiba, after an appellate court upheld his 12-year prison sentence. However, it also fuels uncertainties over his candidacy being possible and what the impacts are if the PT decides to pursue this strategy in Brazil’s upcoming election in October. Luiz Fernando Pereira, a Brazilian election law expert and author of O direito eleitoral e o novo código de processo civil ("Election Law and the New Code of Civil Procedure"), issued an opinion on Tuesday (8) explaining that the ex-president’s current legal status does not make him ineligible to run for office. According to Pereira, the country’s so-called “clean slate” electoral law provides that a candidate’s ineligibility is only enforced after they are certified to office, that is, after the election. A candidate may remain ineligible only if their appeals are not acceptable. 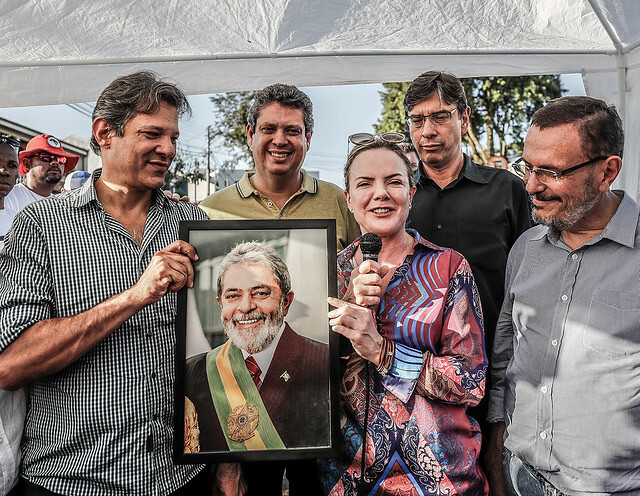 Pereira argued that Lula recently filed appeals with Brazil's Superior Court of Justice and the Supreme Court, and that nonpartisan law scholars have stated that Lula’s appeals are acceptable. Also, in the country’s last local elections, 145 candidates were elected while their registration had been denied. So “Lula’s case would be far from new,” he adds.